The Sol's Prominence Synergy is available during the Summer Solstice event, and drops on weapons and mods found during Midsummer Mutiny Arkfalls or from the Sol's Prominence Crate. 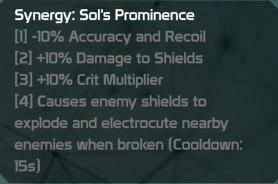 Mods synergy, requires a weapon with Sol's Prominence synergy, as well as mods with the synergy. 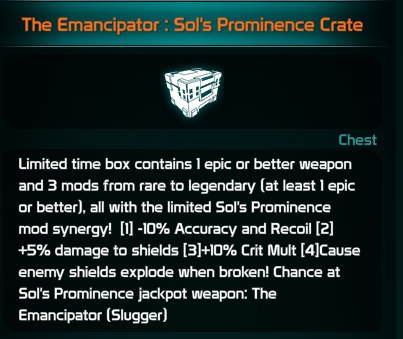 The Sol's Prominence Crate is a limited time box from the Defiance Store, only available around the time of the Summer Solstice event.